This baby is part of my major haul from Ulta's BOGO sale on Butter London that I picked up last week. Wallis is a tarnished, metallic olive gold, and absoutely gorgeous on. A big color this fall is Army green, and this is an excellent metalic version! Butter London describes this color "as mysterious and regal as its namesake," so I decided to investigate. 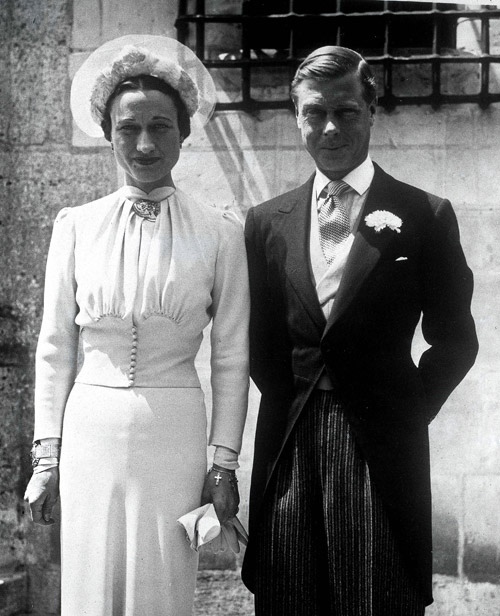 Wallis Simpson of course is the famous American divorcee that King Edward VIII of England abdicated his throne to be with. Swoon... In 1936 he abdicated to marry the woman he loved. Wallis' first marriage to US Naval officer Win Spencer, ended in divorce due to periods of separation, which is prevalent in military relationships. While still married to her second husband, Ernest Simpson, she began seeing Edward, Prince of Wales and became his mistress. Two years later, upon the death of his father, Edward was crowned King of England. 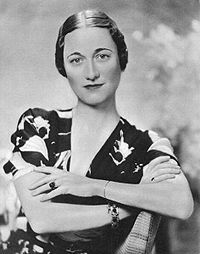 Wallis divorced Simpson and Edward proposed to her. The rest is history! This story is highlighted in The King's Speech with Colin Firth, Geoffrey Rush, and Helena Bonham Carter. Guy Pearce plays Edward who abdicates the thrown to his brother George (Colin Firth.) If you haven't seen this movie, YOU NEED TO. It's fabulous! So, this little history lesson made me love Butter London Wallis even more! It matches the stripes in our dining room!! !